This adds three Jedi Robes into both games, Anakin's, Obi-Wan's, and Mace Windu's robes. Original credit goes to Kainzorus Prime and Deadman for the original skins and HapSlash for the original Jedi Academy model. The reason for the 2.1 instead of 3.0 is because I am not finished with my current expansion to this robe mod. How to Obtain: Type in the cheat code "giveitem_sl_anakin" for Anakin's, "giveitem_sl_windu" for Mace's, and "giveitem_sl_kenobi' for Obi-Wan's. Or you could use the save game editor. 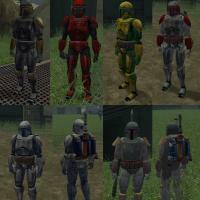 If you want these in game, in K1, the times are in the Aratech store on Dantooine right after you get off the Hawk for the first time. The robes in TSL are with Darrala. I have added compatibility with Deadman's robe mod, you can safely replace this and still get his and mine together. However, if you don't use his robe mod, then I have included as default a file that can go in the override should you not want to download Deadman's mod to use with mine. Installation: Drop K1 folder to Override in Kotor directory, and TSL into Kotor II directory. Bugs: None known, if any pop up, PM me. Like most of K2 fans I never liked the look of Jedi Master style robes. Padawan robes looked much more movie-like to me. 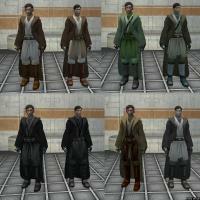 But I also didn't liked the idea of replacement master style robes with padawan models and new textures. IMO, they MUST have different models. So, I've started this MOD. I have remade both male and female master robe models to look more like in the movies. Models were inspired by the robe which Obi-Wan had in episode III. New textures for all master style ingame robes are included, and new icons aswell. 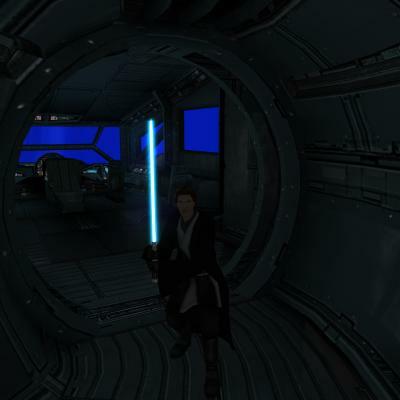 At this poind the mod is compatible with following mods (just be sure to install this mod after others): - TSLRCM (I tested with v1.7) - The Prestige Item Pack by RedHawke & maverick187 - Movie Jedi Robes and High General Obi Wan Kenobi Robe by Don Kain - Tomb of Azgath N'Dul by Darth InSidious - Any mod, which don't add master-style robes If you have installed ANY OTHER MOD which adds new Jedi Master style robes - it won't work. Modified textures, which were made for original ingame model will look awfull with my models. Sorry, I can't track all incoming mods, so it's up to mod authors to redraw textures to fit new UVW map. Credits: - HapSlash - for awesome ep3 Obi-Wan and Anakin models which he made for Jedi Academy. - Spanki - for some great textures which are partially used in this mod - Don Kain - for allowing me to include his Movie Jedi Robes Permissions: Under NO CIRCUMSTANCES ANY OF MY MODS TO BE UPLOADED TO STEAM WORKSHOP. Anything else - be my guest, use like you want, just give credit to me. This was inspired by a mod I saw way back when on Filefront that gave the Exile a custom gray Jedi Robe. All it was however, was just a thing to soak up blaster bolts. I am here to give my own take on this robe, and what perfect time than after Kain released his Character Robes mod. This mod has a custom description along with the feat to make it for the PC only, utilizing that War Veteran feat. 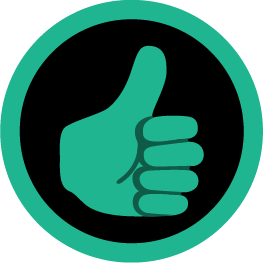 I have included a custom icon, and it is found in Daraala's store. The PC has unique dialogue for the first time on meeting Daraala. I may fix some grammar issues if I get enough requests. "Well Squall, what if we're past the first meeting with Daraala?" Well, use the save game editor (the working one FS has released) or type in sl_exile to get the robe ingame. This acts as a teaser to my up in coming robe expansion pack with many other choices to come. Stay tuned. Required Mod is Deadman's Movie robe pack, and my Movie Robes pack. I will make a version for the original set of robes if I get enough requests. Installation: Copy all files to Override in the Kotor II Directory Bugs: None reported for now, if something comes up let me know and I will fix it ASAP. 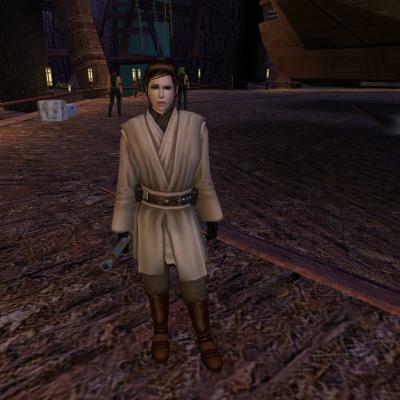 Description: I always hated the zombie looking dark side transitions that Kotor brought, and when Shem released his Movie Style Dark Side transition mod, I immediately downloaded it. 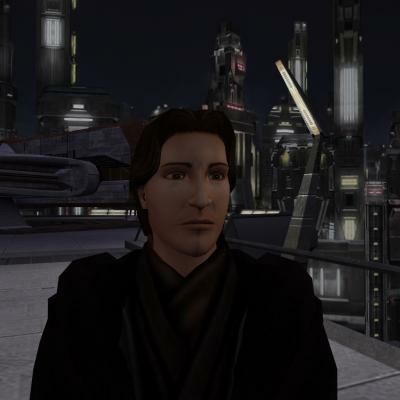 However, DarthParametric released a skin of PMHH01 to look like Mullet Man from Kotor 1, and that is my favorite reskin. It did not include any movie style dark side transitions, so I decided to skin some myself. Original credit goes to DarthParametric for the awesome skin. Portraits are included, however they aren't the best, as I am still getting used to modding. Constructive criticism would be appreciated. Installation: Drop all files in the override folder of your KotOR 2 Directory. Bugs: None that I have seen, let me know if any do pop up. Notes: This does work with my PMHH01 fix, you may download both in whichever order you choose.